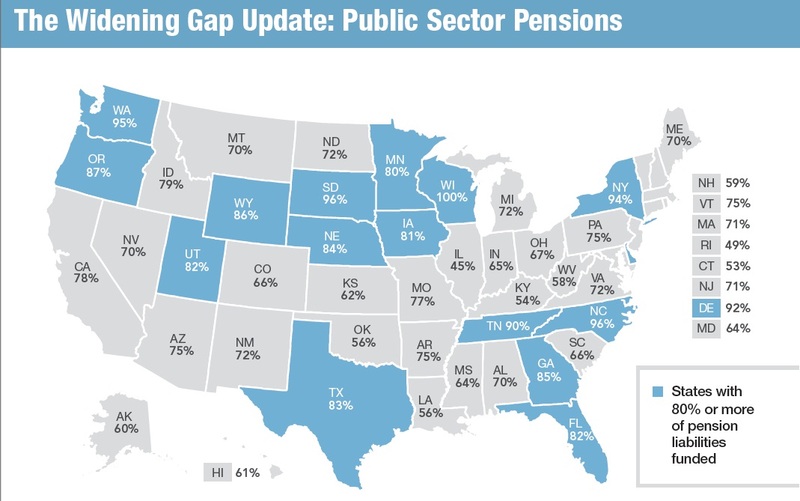 The Pew Center on the States has published "The Widening Gap Update" about the shortfalls between what state pension funds have promised and the actual funds on hand. The report also includes some useful information on the extent to which states are prefunding their health care plans for retirees. The report makes for grim reading--and even so, it's probably over-optimistic. Some states are doing better than others on funding pension benefits: Wisconsin is 100% funded; Illinois and Rhode Island are less than 50% funded. Overall, 11 states are more than 90% funded, but 32 states are less than 80% funded. 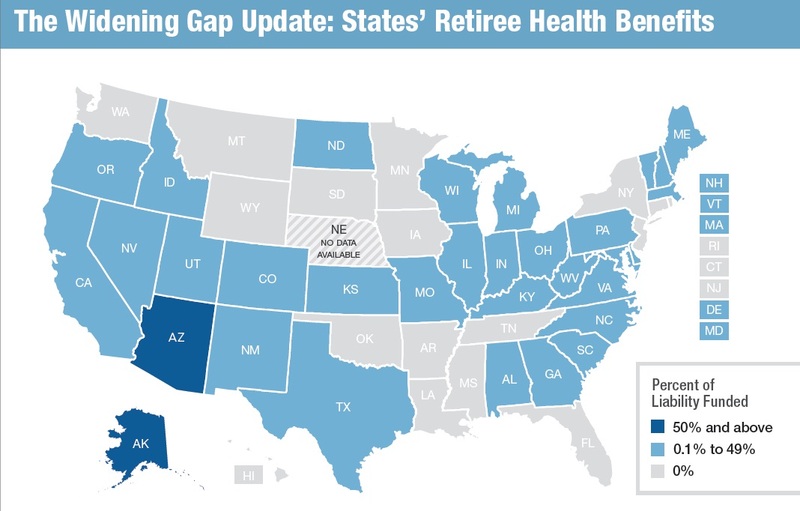 In general, states are doing much less on pre-funding retiree health benefits. Only Alaska and Arizona have funded more than half of their retiree health benefits. Overall, only 7 states have funded more than 25% of the health care benefits they have promised to retirees. Many states have negotiated unrealistic promises, and those promises are unlikely to be kept in full. Indeed, Pew calculates that from 2009-2011, 43 states changed their pension plans to hold down future costs. 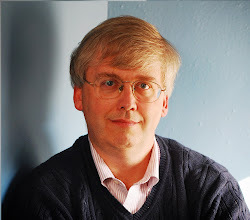 "The most common actions included asking employees to contribute a larger amount toward their pension benefits; increasing the age and years of service required before retiring; limiting the annual cost-of-living (COLA) increase; and changing the formula used to calculate benefits to provide a smaller pension check." Pew also counts 11 states that altered their policies on retiree health benefits from 2009-2011. Some examples include extending the time that a worker must be a state employee before qualifying for such benefits (Delaware), increasing employee contributions for retiree health benefits (New Jersey), and capping the subsidy for retiree health benefits (New Hampshire). Research at Boston College analyzed a database of state and local plans and found that if the new rules had been in effect in 2010, those plans’ funding levels would have dropped from 77 percent funded to 53 percent."